Cellular companies are a dime a dozen nowadays, but that doesn't mean they are all equal. Companies such as Sprint PCS and Verizon provide their own sets of services, and while they may generally be sufficient for most uses, one or the other may be better suited to you. Which one should you go for? This comparison article aims to show you! Sprint PCS is the third largest provider of wireless services in the United States, and it currently has a customer base of more than 50 million. 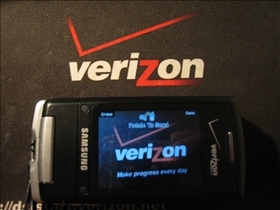 Verizon Wireless is a company formed under the Cellco Partnership. The company is currently the owner and operator of the second largest mobile telecommunications network in the United States. Sprint PCS offers a number of voice and data services. The company offers both 2G and 3G services by way of a CDMA network to 49 states in the United States, as well as in Puerto Rico. At present, only Alaska is provided analog roaming services. Among the company’s data services are music downloading, streaming video, Push-to-talk, SMS, MMS, GPS and web browsing. Music downloading and video streaming services are provided through the company’s Sprint Music Store and Sprint Power Vision. Verizon for its part offers a number of voice and data plans, among which are Internet browsing, SMS, MMS messaging, music and video, and walkie-talkie technology. Among its subsidiaries are the V-Cast download service and Push-to-Talk. According to the company’s marketing materials, Sprint PCS offers coverage all over the country. In actuality however, the company’s wireless service is limited mostly to urban areas. Things are pretty much the same with Verizon, which offers voice and data services over their 3G network. Like Sprint PCS however, Verizon’s data services are only available in urban areas. Both companies offer a range of calling plans such as unlimited calling, family plans and unlimited mobile services. In addition, Verizon Wireless also offers what it calls a “Friends & Family” unlimited calling plan, which allows users to call numbers outside the Verizon network. Sprint does not currently offer a similar plan. Sprint PCS and Verizon both support a wide range of mobile devices and smart phones, with Verizon supporting the BlackBerry, Palm, Windows Mobile and LG platforms. Sprint supports many other brands as well, among them Samsung, HTC, Palm, Sanyo, Motorola and Blackberry. Sprint PCS is also known for the Samsung-produced “Instinct” touchscreen phone, which is one of the most popular smartphones in the industry. This model alone is responsible for a large percentage of the company’s sales, and is a large part of the company’s attraction to new customers. Which network is more reliable? Verizon iPhone vs. AT&T iPhone: Which is better? Nexus One vs. iPhone: Which gadget is coolest? Blackberry vs. iPhone: Which is better?